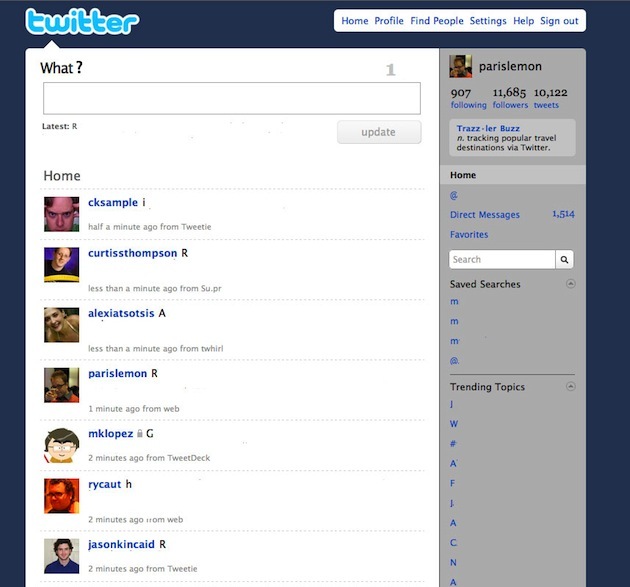 Facebook Lite: How Will Twitter Respond? Twitter Lite! So, we now have Facebook Lite in the U.S., a slimmed down, sexier version of Facebook . It’s been said for a while that Facebook may have a long term problem with Twitter because it was too bloated, while Twitter was so light and simple — talk of that should die down now. So how will Twitter respond? I have a feeling we’re about to enter a war similar to the war razor blade companies engage in. You have 2 blades? We’ll do 3! Then we’ll do 4, etc. Except here, less is more. So behold, my idea for Twitter Lite!